If you have planned on attending a California State University in 2013, your education is in jeopardy. Gov. Jerry Brown’s new Schools and Local Public Safety Protection Act of 2012 will keep that from happening with a projected $6 billion in revenue over the next five years. However, this can only be done if the bill passes at the polls in November. The initiative can only be passed if we all care enough about our education. If this proposal does not pass, there will be an additional $5 billion cut from universities, schools, and public safety. These cuts will include an enrollment freeze on almost all CSUs for spring and fall 2013, meaning some students planning to transfer may have to put their education on hold for a year or more. California State University, Sacramento will not be accepting any new or transfer students in spring 2013 and applications for the following fall semester have also been put on hold, according to The Hornet. If the initiative is not passed by voters, CSUS will face another reduction of $200 million; in addition to the $100 million budget cut in the middle of 2011. Our education is incumbent on Brown’s proposal making its way to the ballot and our votes determine what our education really means to us. These cuts to education don’t have to happen if Brown’s tax proposal is voted into effect. 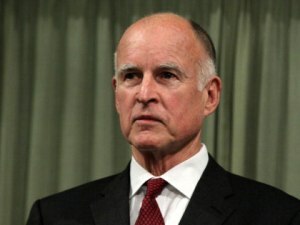 Brown’s proposal includes two parts: a one-quarter of 1 percent increase on sales tax and any taxpayer in California making more than $250,000 will pay an additional income tax. The sales tax increase is still lower than early 2011 when the sales tax was 8.75 percent in most of California, including Sacramento. The new increase in income tax will not impact those who can’t afford it, with the highest increase at only 3 percent for those who make more than $500,000. Therefore the increase protects the California residents who can’t afford it. An increase in sales tax requires everyone in California to take part in assuring that the educational system is safe from more drastic cuts. The increases in income tax can affect only those whom can afford to pay more. These propositions are understandable and they are fair and it is what’s required to save our education from enrollment freezes. When we take the time out on Nov. 2 to go to the ballot box; it says that we care about our education and refuse to let legislatures and dollar signs determine our future. There are not many times when students can have a direct say in the cuts to their education; luckily, later this year everyone will have a chance to voice their opinion at the ballot box. The budget cuts have impacted every student at American River College and the uphill struggle could come to an end if we all support Brown’s tax proposal and agree to save our future. Be the first to comment on "Brown budget or bust"